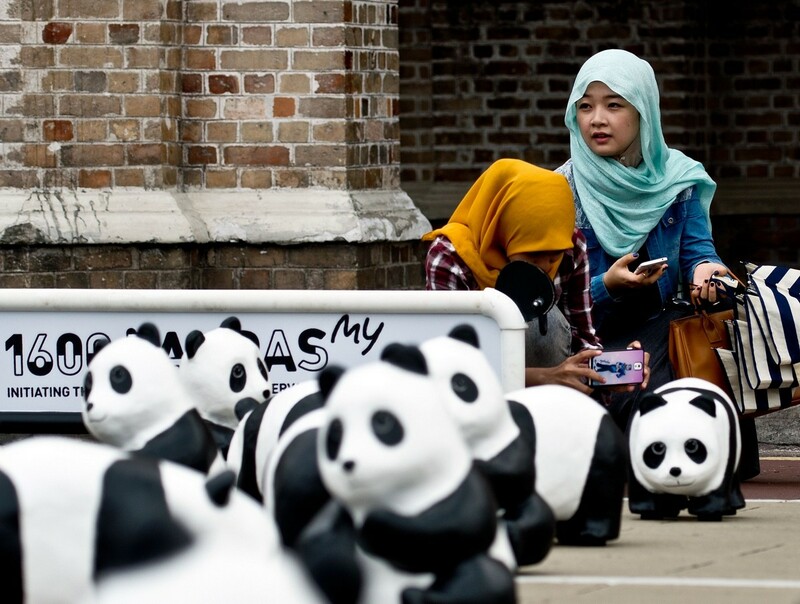 PETALING JAYA - The 1,600 Pandas World Tour made its debut in Malaysia on Sunday morning, in a bid to increase awareness on animal welfare and environmental conservation. 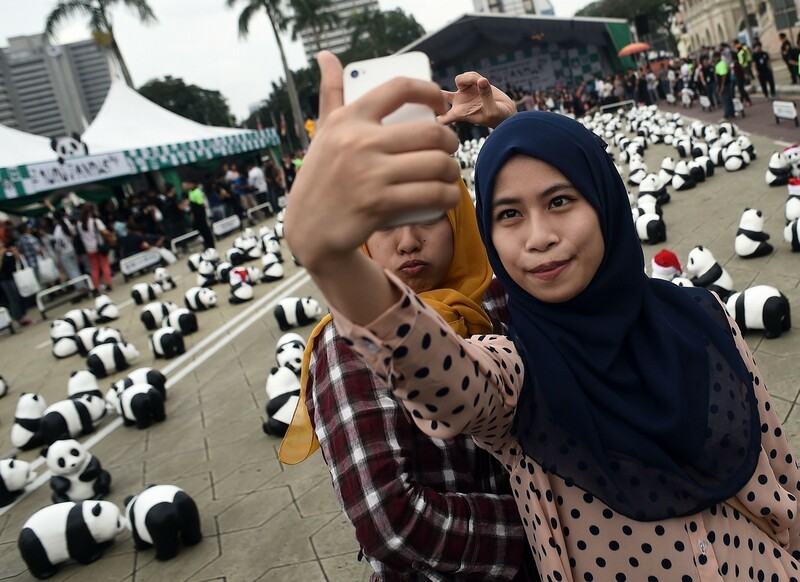 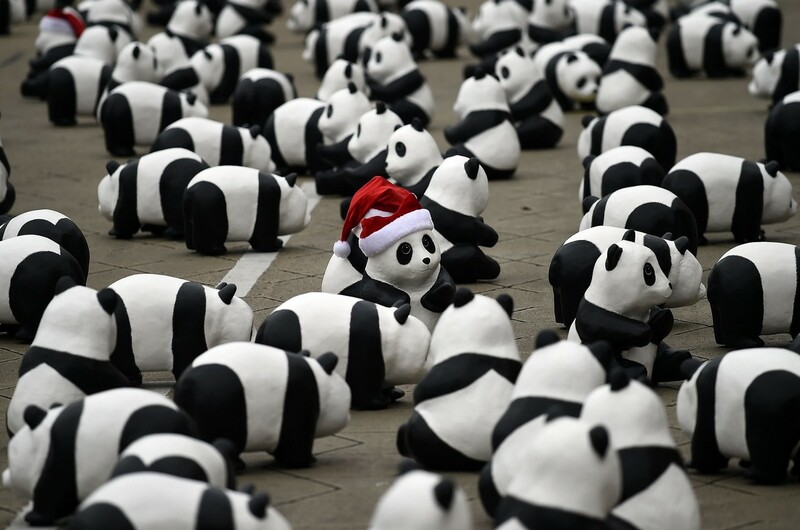 The adorable panda sculptures, created by French sculptor Paulo Grangeon, were paraded at Dataran Merdeka to much fanfare and excitement among visitors. 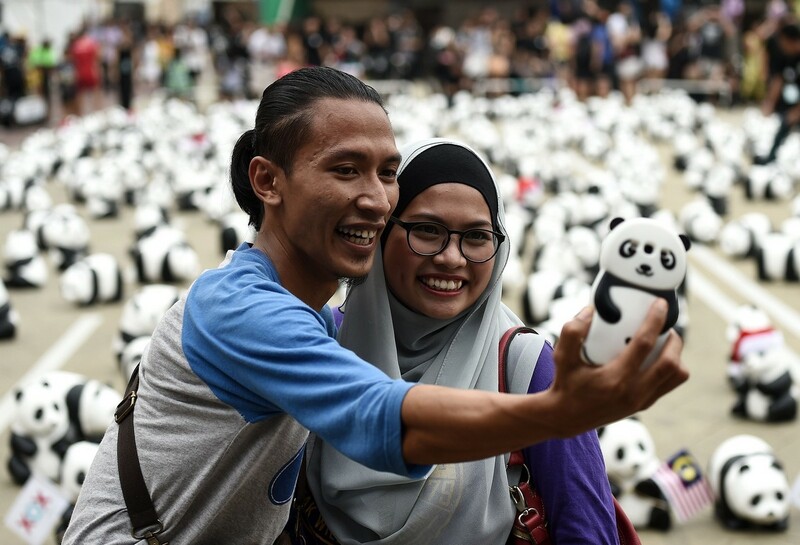 The 1,600 Pandas World Tour made its debut in Malaysia on Sunday morning, in a bid to increase awareness on animal welfare and environmental conservation. 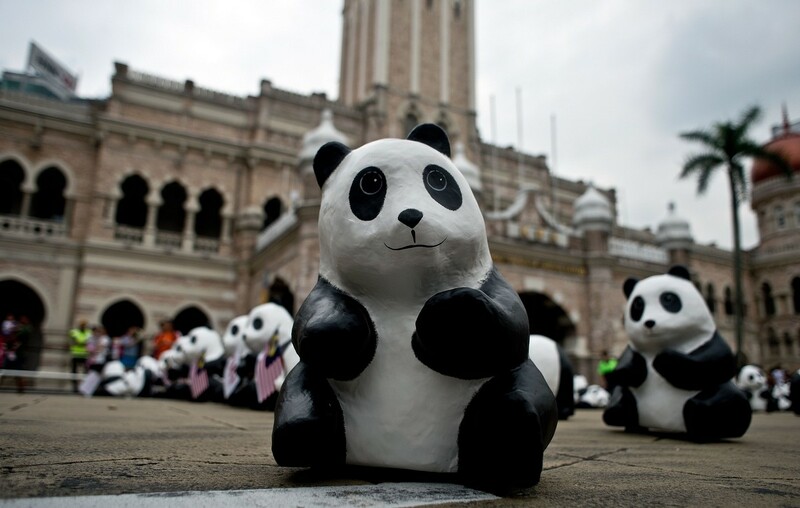 The pandas will make stopovers at 15 iconic landmarks throughout Malaysia as part of the tour, themed "Initiating the Culture of Creative Conservation". 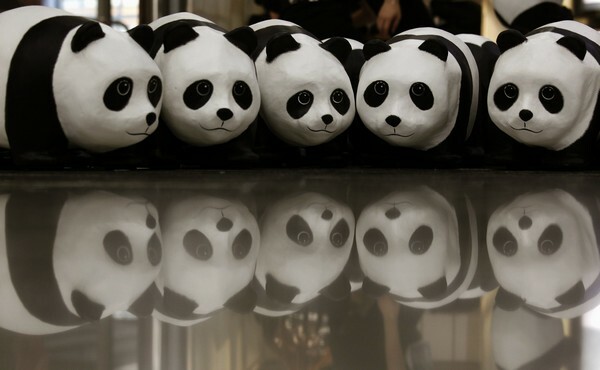 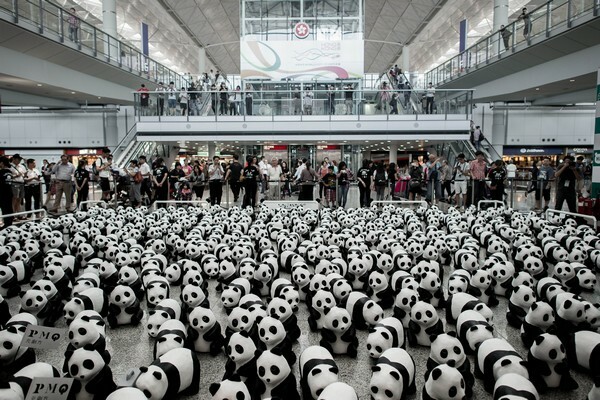 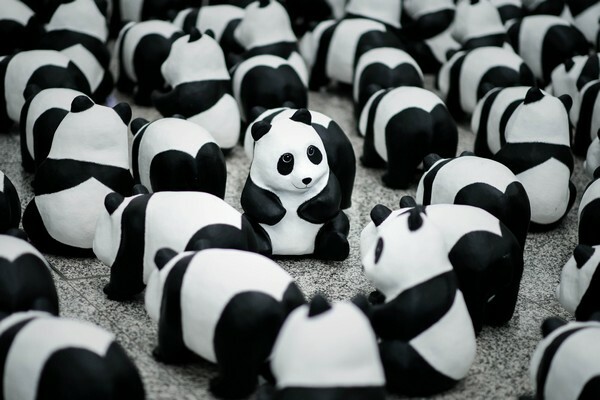 According to reports, Grangeon created the 1,600 paper mache pandas in various poses and sizes by using recycled paper. 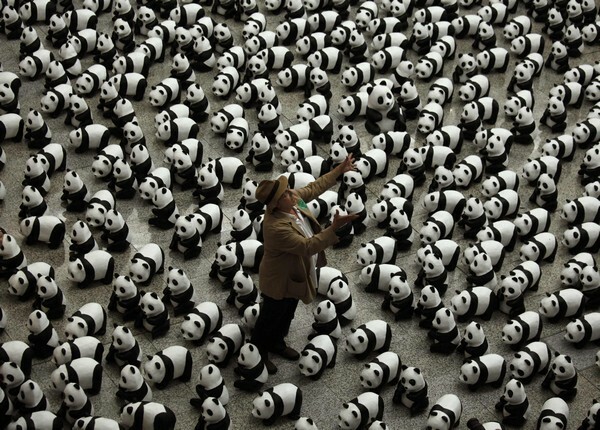 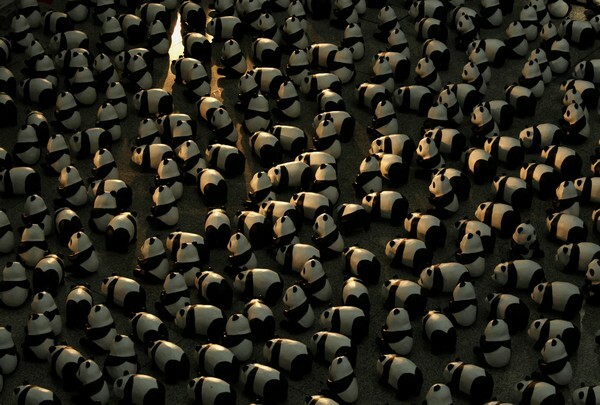 It is a symbolic representation of the amount of pandas left in the wild. 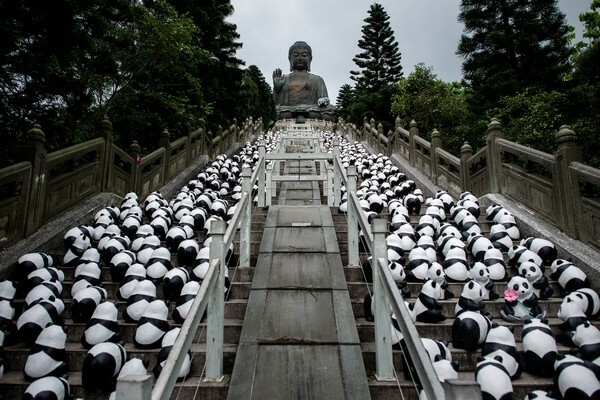 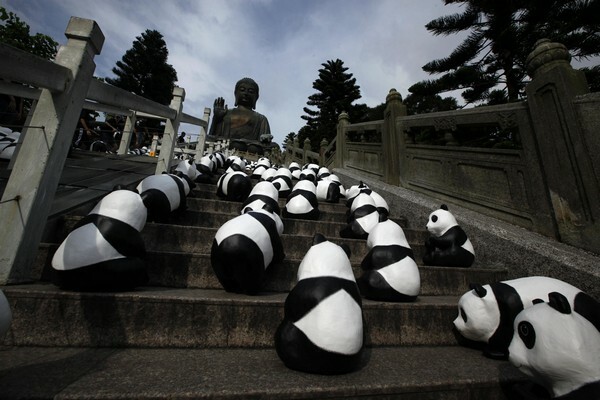 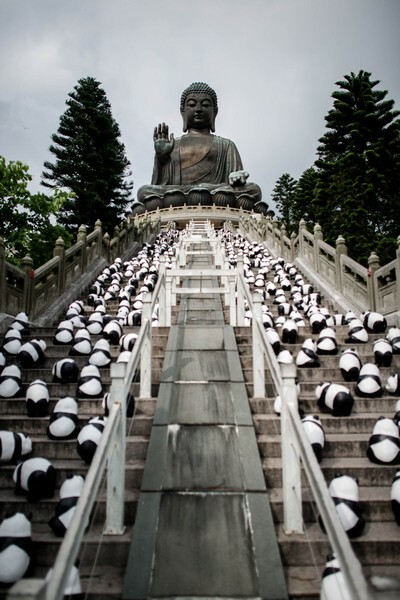 Papier-mache pandas created by French artist Paulo Grangeon are displayed on the steps of the Tian Tan Buddha statue on Lantau Island in Hong Kong on June 10, 2014. 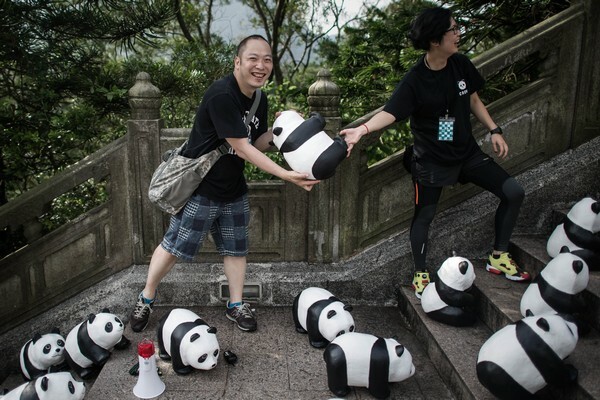 Pictured: Panda mania in Hong Kong. 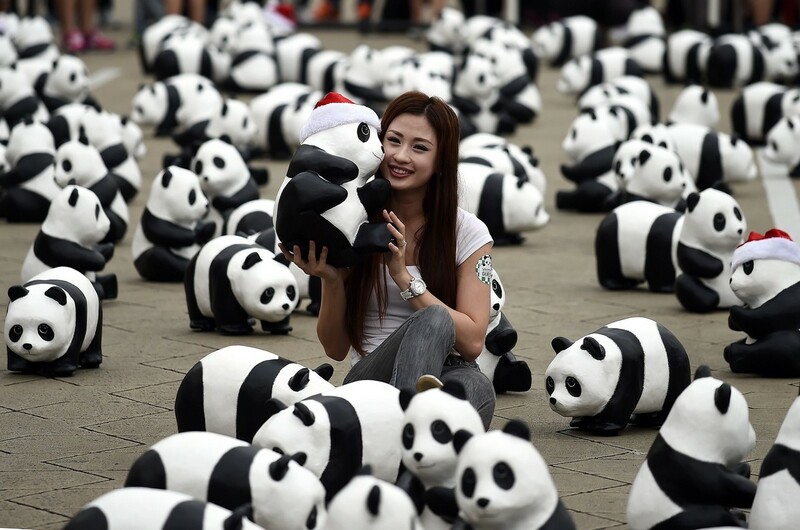 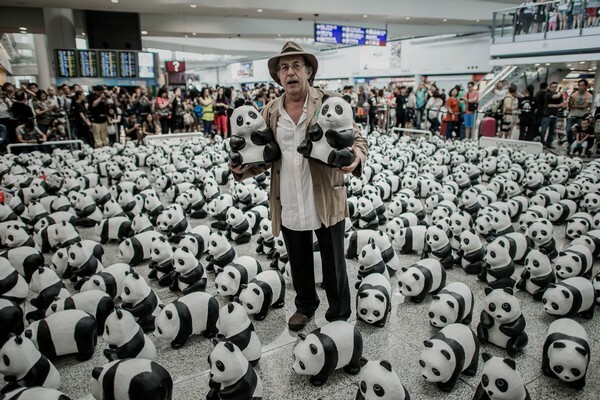 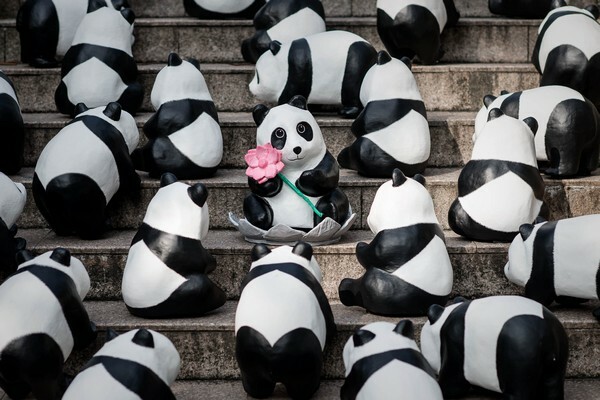 The event, consisting of placing 1,600 papier-mache pandas in various cities around the world in collaboration with the WWF is aimed at raising awareness of the endangered species. 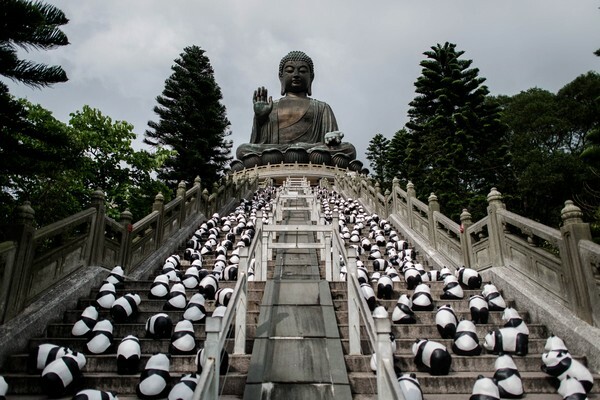 Present to witness the launch of the tour in Malaysia was Minister in the Prime Minister's Department Datuk Mah Siew Keong, Tourism and Culture Ministry secretary-general Datuk Dr Ong Hong Peng and Chinese ambassador to Malaysia His Excellency Huang Huikang. 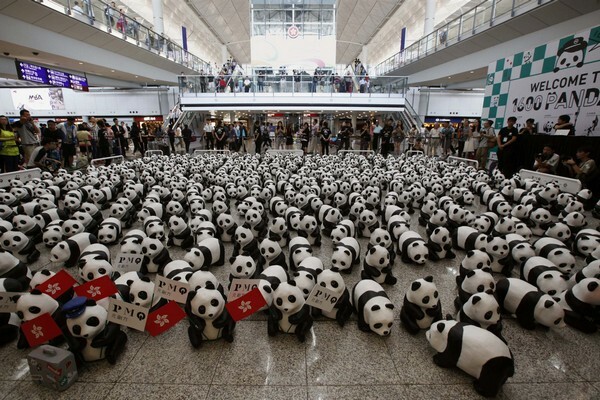 According to reports, Grangeon created the 1,600 paper mache pandas in various poses and sizes by using recycled paper. 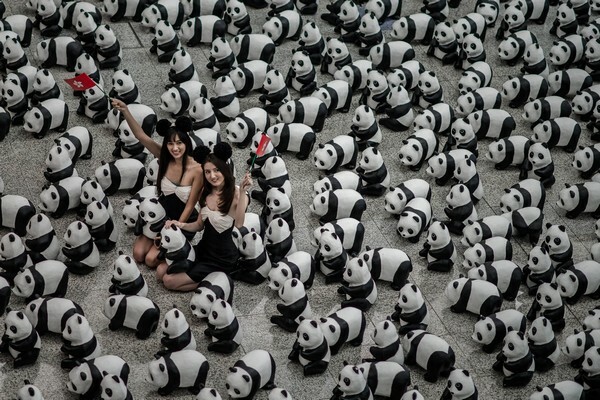 It is a symbolic representation of the amount of pandas left in the wild.